Here is a sketch I did recently. It’s been a couple of busy weeks and I haven’t had a chance to work on a painting. But, I am always sketching! 🙂 I just love to draw wispy hair. 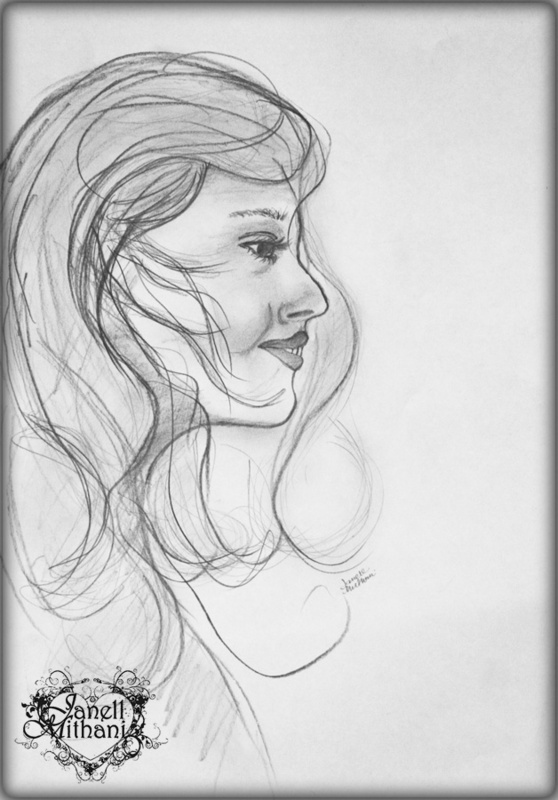 This entry was posted in Art and Women, Janell's Artwork and tagged art, drawing, Janell, Mithani, portrait, sketch. Bookmark the permalink. Love your Whispy-Haired Girl…very pretty! !